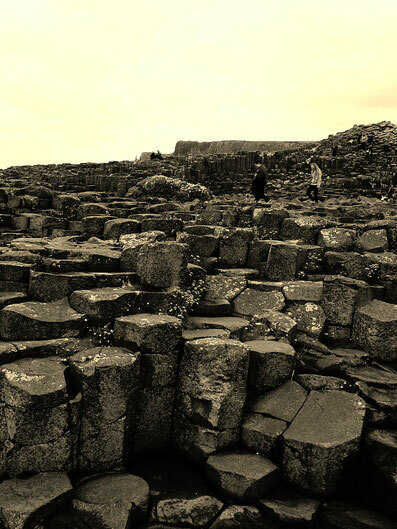 "The Giant's Causeway" in Northern Ireland. Set along one of the most breathtaking coastlines, the basalt rock formations (due to volcanic activity million of years ago), gets the heart racing as you wander up and down the sometimes steep ridges. 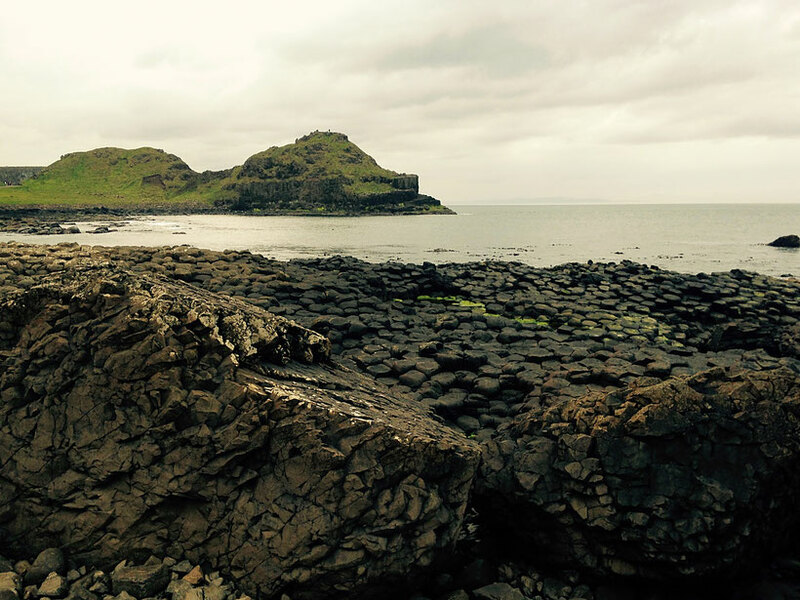 It is located a few kilometres north of the town of Bushmills in Co Antrim, and is ranked as a World Heritage site alongside Mount Everest. Over half a million people visit ever year, and while the site is 60 million years old, it's visitor centre has become very high-tech and sustainable for the 21st century. 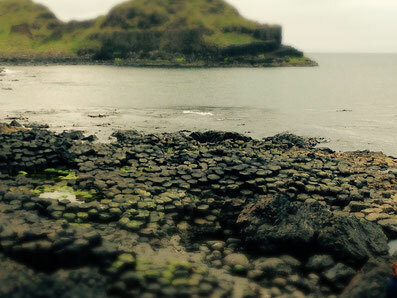 Upon arrival, you can take a bus or walk down to the causeway. 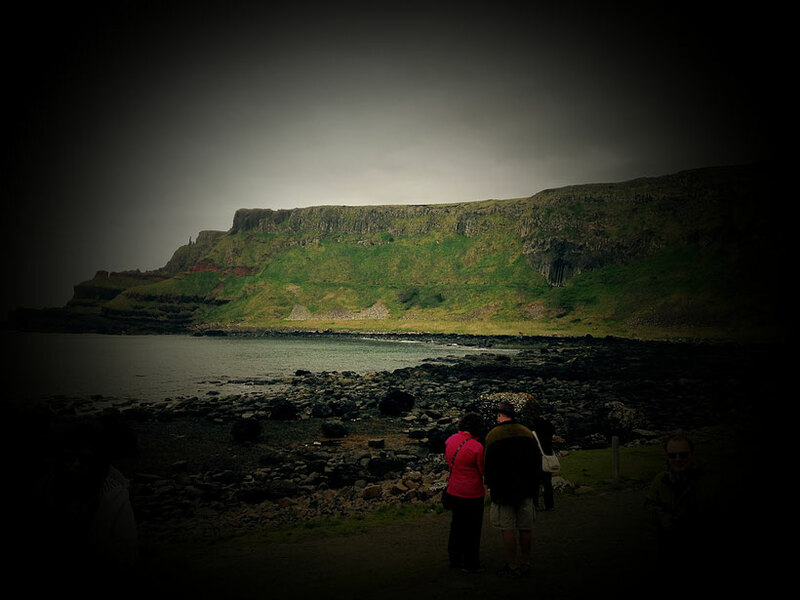 The green basalt cliffs are striking as you walk across. 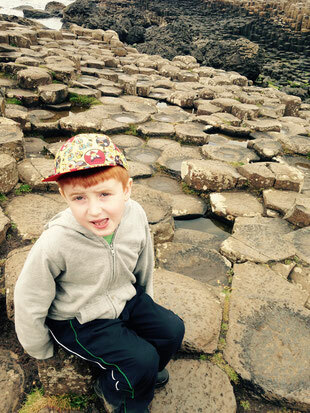 There is no sand, just kilometres of the basalts square, and sometimes hexagonal shaped rocks, and plenty of fresh air! The day we were there it was the high Summer, it was warm (about 18 degrees celsuis), but no blue skies unfortunately. There are also some chair shaped and other shaped rocks to capture the kids attention, and even a "wishing seat" for them to sit on and ponder the moment. The new Visitor Centre, which is run by The National Trust, was architect designed for sustainability is also an attraction in itself. It features a green roof and viewing platform of the the whole of the causeway. 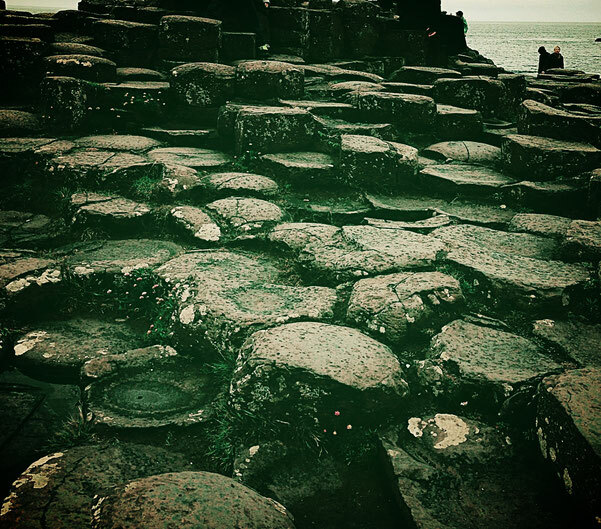 It also has a restaurant, gift shop, foreign exchange, free wifi and a massive theatre area where an animated story of the Giants Causeway folklore legends are featured. This is a hit with both kids and adults alike, and makes for a nice resting spot when you return from the walk. The Causeways wildlife and botany is unique to the area and the Visitor Centre's roof has been planted with native vegetation to attract the local birds. 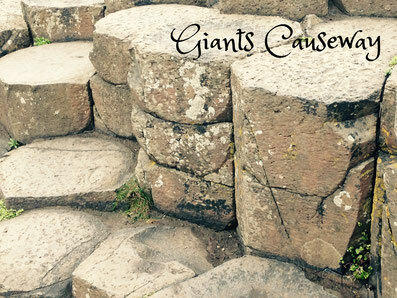 Open until 9pm every Summer, the Giants Causeway makes for a very magical evening and beautiful walking.